President Cyril Ramaphosa will on Tuesday, 05 June 2018, host the President of the Saharawi Arab Democratic Republic (SADR), His Excellency President Brahim Ghali, in Pretoria, during his working visit to South Africa. The visit by President Ghali will provide an excellent opportunity for the two Heads of State to appraise each other on the latest developments in the Western Sahara and the Maghreb region, in the Northwest Africa. During the visit President Ramaphosa and President Ghali will hold official talks where they are anticipated to exchange views on regional and global issues of mutual concern, particularly peace, security, stability and development in Western Sahara and Maghreb region as well as some parts of the continent. The visit will further provide a platform for the two Heads of State to strengthen diplomatic relations between the two governments and their people. 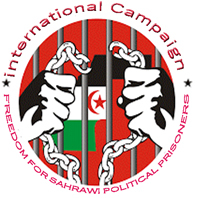 In September 2004, South Africa took a decision to recognise the Saharawi Arab Democratic Republic (SADR) as an independent state when it became clear that the Kingdom of Morocco had ruled out any possibility for a referendum for Western Sahara in contravention of UN Security Council Resolution 1495. Like many other African Union member states, South Africa maintains its position that the occupation of the Western Sahara by Morocco is illegal and that the Saharawi people must be allowed to exercise their right to self-determination. South Africa is of the view that the continued delay in a solution to the conflict in Western Sahara does not only continue to have dire humanitarian consequences for the Saharawi people but also remains an impediment towards greater regional integration and security cooperation in the region. The growing discontent remains a serious concern, therefore South Africa reiterate its call for two parties to return to a discussion table and have constructive direct dialogue.